I love having soups for lunch – they are light, delicious and most importantly will not put to me to sleep after the meal (especially during work :)). I used to buy canned soup for the convenience of a ready meal after 3 minutes of reheating. As I read the sodium levels on the nutrition label, I decided to make my own. I read some recipes online and came up with this as my freestyle cooking – not following a recipe. 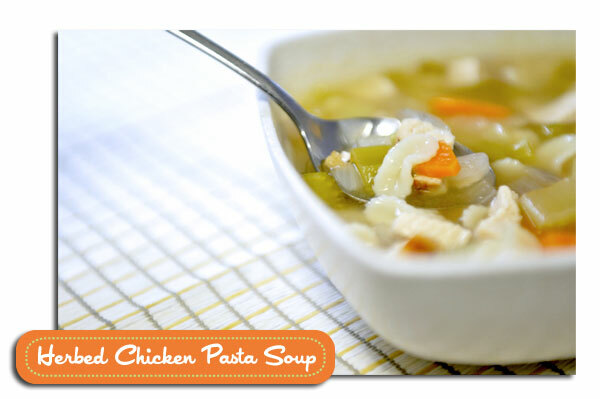 The ingredients are very simple: vegetables, chicken broth, chicken, pasta and herbs. I like the using herbs in my soup as they brighten up the flavours. I also used lemon to add a bit of refreshing flavour as well. *If you do not like herbs, omit them. Season chicken with salt and pepper, cook, let cool and dice. *I seared my chicken to add extra flavour but it is not necessary. Cook pasta in lightly salted water, drain and rinse. 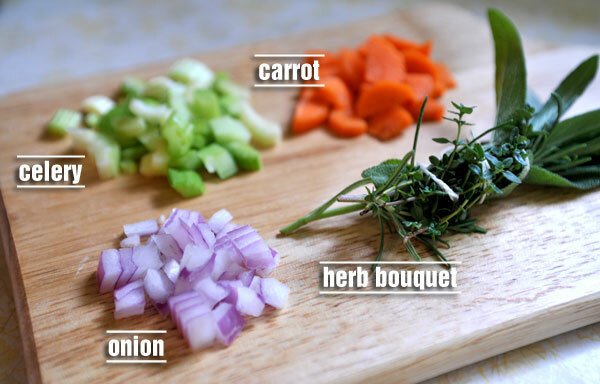 Bring chicken broth and water to a boil with the herb bouquet, add vegetables and simmer at medium heat for 10 minutes. 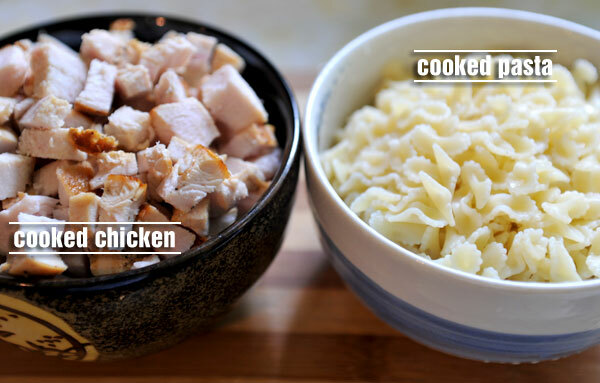 Add cooked pasta and chicken, simmer for another 10-15 minutes. Fish out herb bouquet, add lemon juice, salt and pepper to taste. This sounds absolutely delicious! I can’t wait to try it! I think I might give it a go this weekend. Thanks for the simple and easy to understand instructions! Thanks kat! Glad you like it!